Ann Looper Pryor graduated from the College of Charleston in 1983 with a B.A. in political science. A native of Pickens, SC, Ann moved to Washington, D.C., after graduation and worked on Capitol Hill for Senator Strom Thurmond. She worked as a lobbyist for the American Institute of Architects, and in public relations and marketing for the American Society of Landscape Architects before taking the post as publisher and managing director of Landscape Architecture Magazine. Ann moved with her husband Greg to Charleston in 2015 to work for her alma mater as Vice President, Alumni Affairs. Ann and Greg established the W.N. Looper Award in 2012 to provide financial resources to South Carolina students majoring in either political science or communication to intern on Capitol Hill in Washington, D.C. The Looper Award was created in memory of Ann's father, who attended the College after returning from World War II in 1945 and became an educator, athletics coach, and mentor to his students and players. 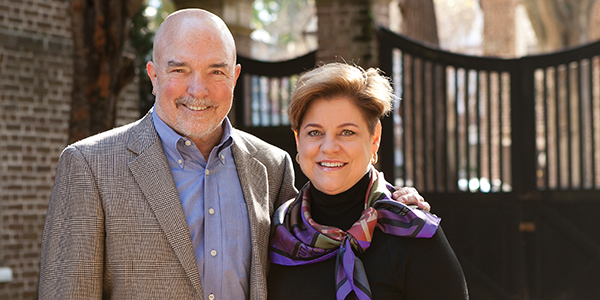 When Ann and Greg reviewed their estate plan, they worked with their attorney to include a charitable bequest that endows the Looper Award and provides a gift to the College of Charleston Fund. "My professional success, lifelong friendships, and the person I am today are direct results of my education and experiences at the College," said Ann. They chose a charitable bequest because "the process was simple and flexible, giving us complete peace of mind our wishes will be carried out." The College means family to Ann. Those roots run deep. When Ann and Greg named the College in their estate, they ensured the family's legacy will live on, continuing to grow and branch out, beyond their lifetime.